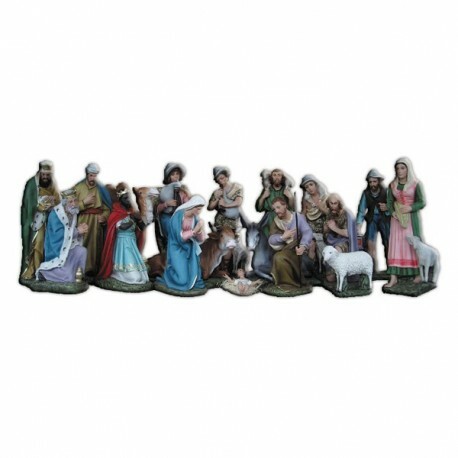 18 fiberglass statues nativity, 60 cm, hand painted. 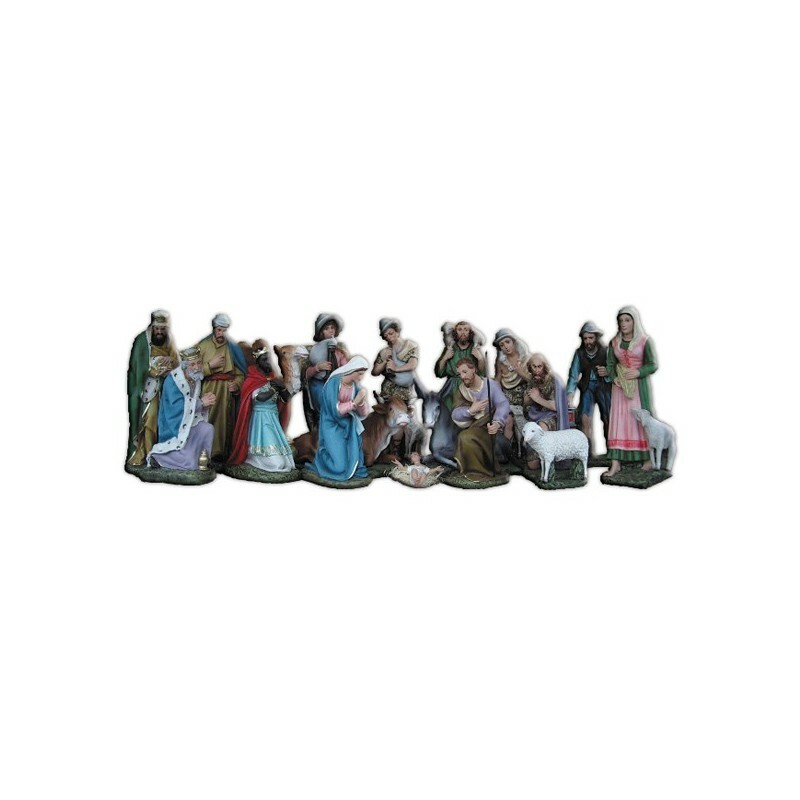 (Mary, Joseph, Jesus, donkey, ox, wisemen, 8 shepherds, a sheep and a camel ). Also singularly available .